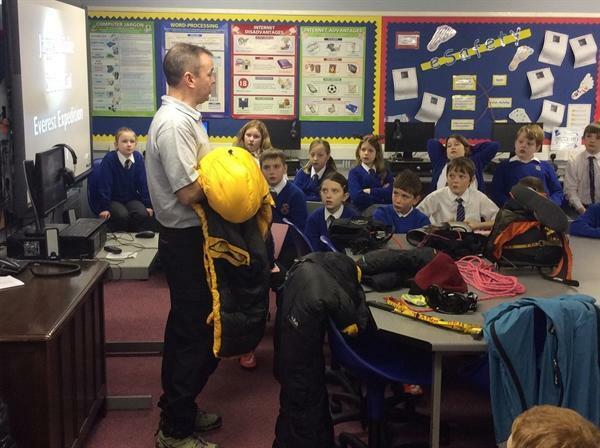 On Wednesday 10th December, Geoff Chambers came to visit our P6 classes and talk to them about his success at climbing Mount Everest. 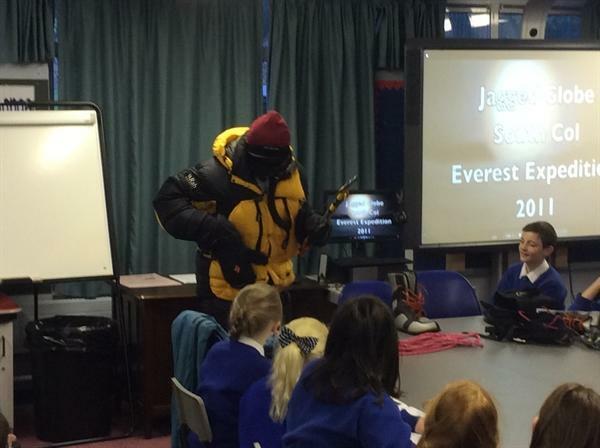 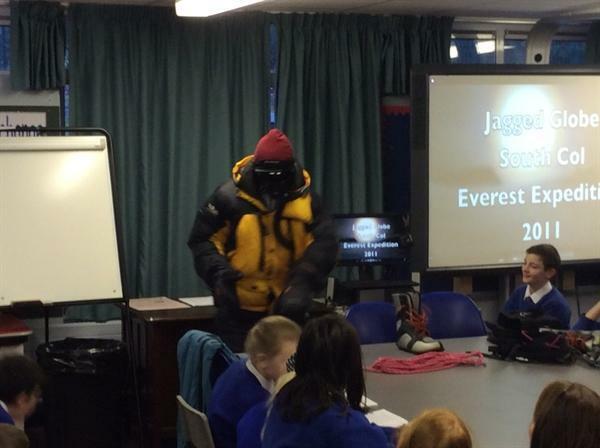 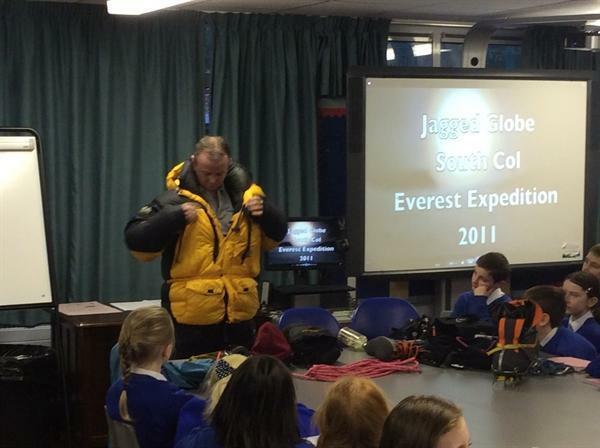 The children got to hear first hand about the dangers, thrills and personal challenges that Geoff and his team faced. 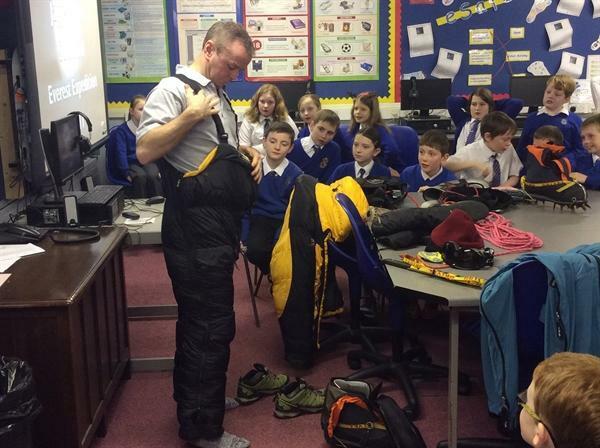 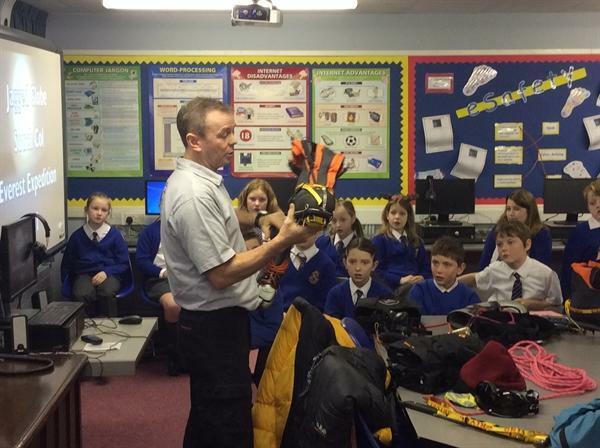 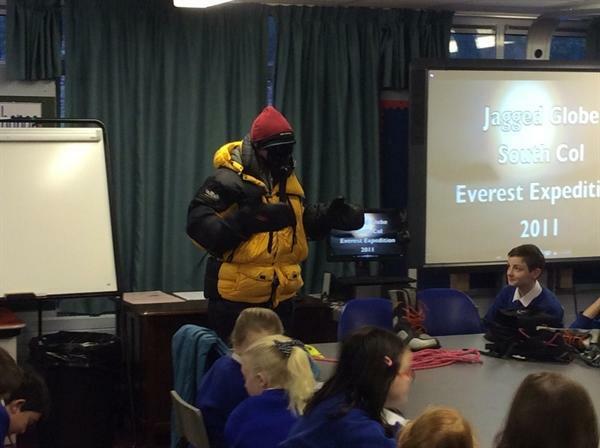 P6 pupils also got the opportunity to see the kit which Geoff wore and to handle some of the equipment that was used. 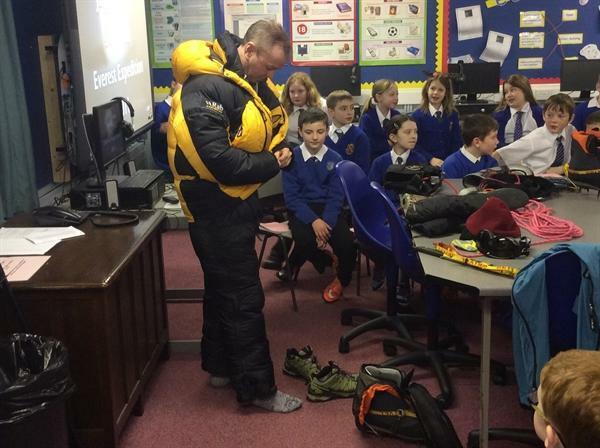 We would like to say a huge thank you to Geoff for taking the time to speak to our pupils.